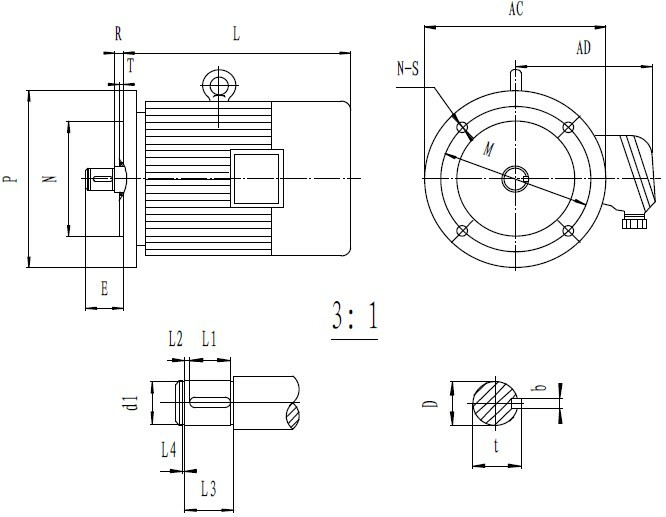 YP Series 3-Phase Frequency Conversion and Variable Speed Asynchronous Motor and YPEJ Series 3-Phase Frequency Conversion and Variable Speed Asynchronous Motor with Brake are designed to operate in constant torque and variable speed driver within frequency range from 5Hz to 50Hz (or 60Hz) or in a constant power and variable speed driver within frequency range from 50Hz (or 60Hz) to 100Hz. 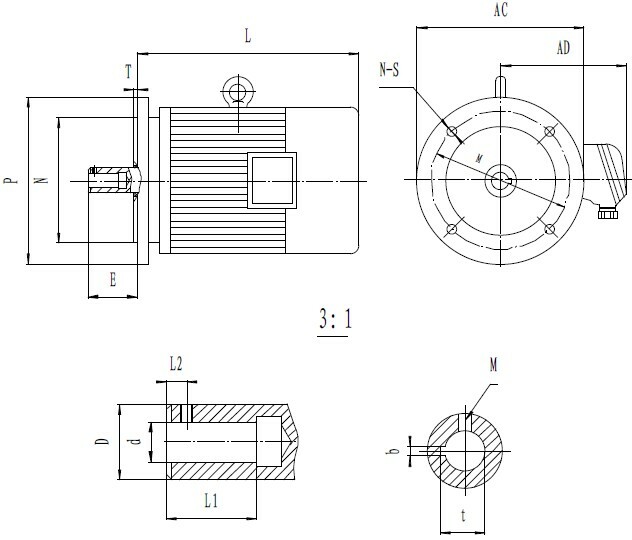 They run steadily without any torque pulsation in the entire frequency ranges from low to high or vice versa. They have a self content cooling fan. Further more; they have advantages of lower operation noise, higher starting torques and consuming less power supply at start. They can be used with various inverters which manufactured in China and / or overseas for the purpose of conversing AC frequency and variable speed. Compared with other variable speed systems, they are one of advanced systems with benefits of energy saving, broad speed altering ratio, satisfactory performance for speed changing, and quick response. 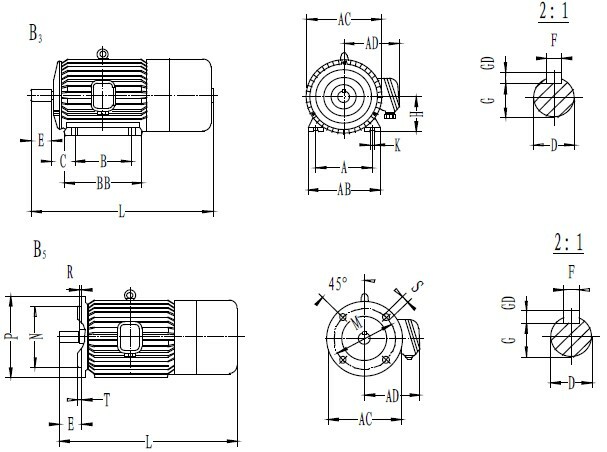 The difference between YP Series 3-Phase Frequency Conversion and Variable Speed Asynchronous Motor and YPEJ Series 3-Phase Frequency Conversion and Variable Speed Asynchronous Motor with Brake, YPEJ series motor equipped with an AC brake. The AC brake is powered directly from a three phase power supply without rectified diodes. The AC brakes are not only quick response braking (100 times quicker than a DC single phase brake) but also have improved reliability and long service life. The advantages of AC brakes also include precise positioning, such as no axial movements, and the capability of a wide adjustable range of braking torque, such as from zero (0) to any desired values. The AC brake is an approved patent from the National Patent Bureau. The approval patent number is: 97206492.3.